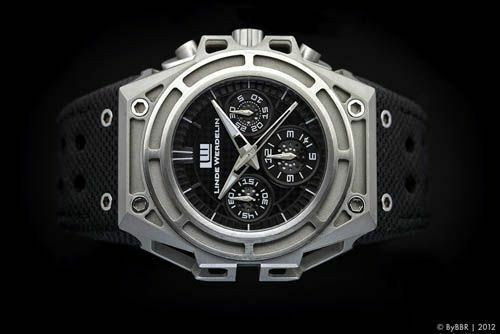 When Linde Werdelin introduced their first chronograph during BaselWorld 2011, it immediately caught our attention. Well, they [LW] introduced it even before BaselWorld, but the first prototypes weren’t shown before BaselWorld. 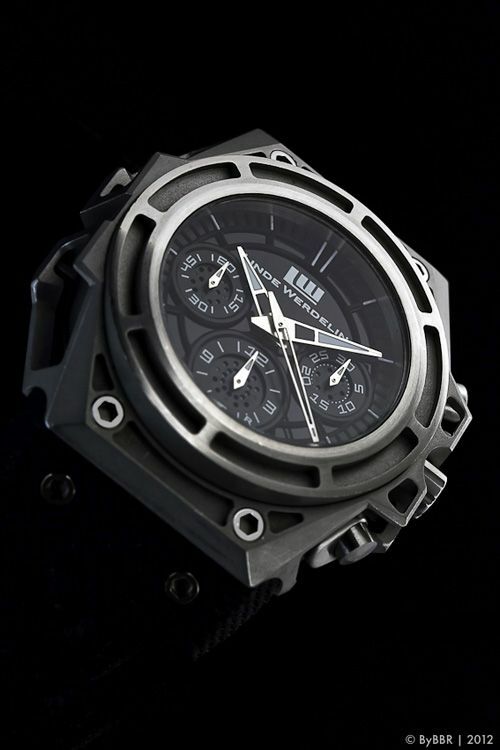 Just recently, the Linde Werdelin SpidoSpeed Chronograph Anthracite DLC version was added to their chronograph series. Restricted to 100 pieces only in each type of material: stainless steel, anthracite DLC, DLC, steel/DLC, rose gold/DLC/titanium. 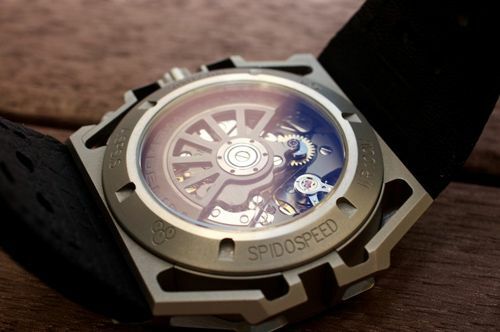 Linde Werdelin sent us their SpidoSpeed Chronograph in stainless steel to give it a try for a few weeks. Just having the SpidoLite II reviewed (click here), we immediately felt familiar with this SpidoSpeed Chronograph on our wrists. The dimensions of this watch (44 x 46 mm) equals those of the SpidoLite II, but having chronograph registers and two pushers give it a different perception to the wearer. This time, LW used a Concepto 2251 chronograph movement for the watch. Concepto is a movement manufacturer that we are still not that familiar with, but we firmly believe that LW made sure that all their suppliers are delivering top notch parts. The best example is the exclusive case of (all) Linde Werdelin watches. Like the SpidoLite II, the SpidoSpeed case has been built using a modular concept. It consists of no less than 32 parts for the case alone, starting with the cylindrical chamber being the basis of it all. We’ve reported before that only setting-up the 5 axis drilling machine for manufacturing this complex case is almost a man day’s work. We don’t want to write a lengthy report about this watch, as a lot of others did already and we all know the specifications by now. We just want to share our experience with this watch we had for a few weeks. All being guys wearing Rolex, OMEGA or Audemars Piguet watches most of the time, we found this watch certainly to be a cool addition to those watches. Watches of the big brands that have been out there for – in some cases literally – ages. Nothing wrong with that, on the contrary, but taking a step outside the box or outside your/our own comfort zone for once in a while, doesn’t do harm to anyone. We find it strange that there is only little coverage on brands like Linde Werdelin by magazines, it isn’t even in the annual watch catalogues. A pity. More small independent brands suffer from this and it’s a shame really. People who are not that into watches like us, don’t go strolling the internet for hours during the evening and weekends, are missing out on some great time pieces. 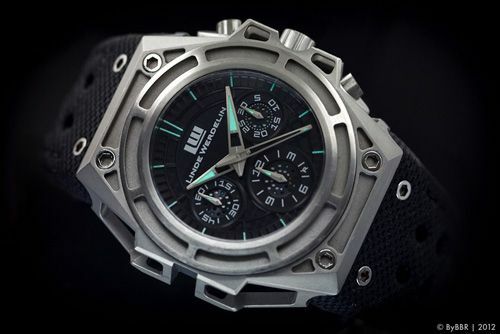 This Linde Werdelin SpidoSpeed Chronograph is one of these great pieces. We found it to be a great time piece. As you can see on the photos that Bert took, this SpidoSpeed shows some signs of wear and tear, as it has been used as a demonstration piece all over the world since the introduction. Our point is, it still looks awesome! It is a sharp looking case (not only looking, it really is sharp) and the futuristic looking pushers are integrated in the case without disappearing. We received a lot of positive comments about this watch, both by watch people and those that don’t have anything with watches in particular but just noticed it. Most of the comments were about the design of the case, being industrial, fresh, complex and even ‘sporty chique‘. The SpidoSpeed Chrono is just easy to operate, easy to read (the dial has been designed in two levels, making the 3D experience even better) and most important of all, comfortable to wear. 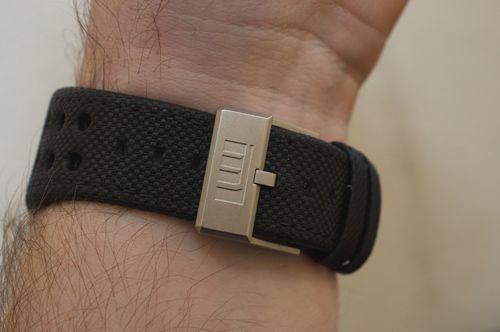 The black textured strap was very easy to bend around the wrist, although looking quite stiff and easy to fit with the impressively finished ardillon buckle. With perfect engraving of the LW logo. It is all about the details. The chronograph movement didn’t fail on us once, although we didn’t save it from using the chronograph very often. The crown is, just like the SpidoLite II, a bit hard to operate because the crown guards of the case are so sharp. If you have large fingers, you can easily hurt them by operating it. 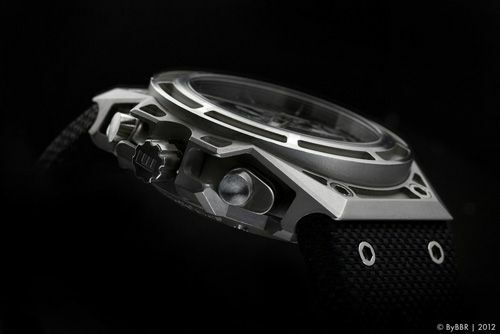 Linde Werdelin assured us they are working on this. You might see an update of it in future versions (LW first release the A-series, so we guess there will be a B-series.. ). Flipping the watch, you will see a beautiful designed movement. Especially the LW rotor is a joy to stare at. Like we wrote before, we don’t have that much experience with or knowledge about Concepto, but it looks nice and appears to be functioning as it should be. If you are the daring type that doesn’t care about big names on the dial, or want to think outside of the Rolex, AP or Hublot box for a change, consider a Linde Werdelin sports watch like this SpidoSpeed Chronograph. The version we reviewed retails for 11.760 EUR, the other versions are a bit more expensive. Check the Linde Werdelin website for the actual prices.